The relationship between air quality and health is definitely the best known and most direct association between the air we breathe and human beings. Its common knowledge that the presence of particulates within the air that people breathe is a major predisposing factor to the occurrence of a majority of respiratory complications and conditions. The potentially carcinogenic solids present in the air can cause asthma as well as a host of other lung, throat diseases and cancers. Other than the above detrimental effects of low air quality on health, other far less harmful aspects of the air we breathe do directly affect the quality of life lead. For example breathing air that is too dry will cause a sense of perpetual thirst while air that is too humid will make a room stuffy and excessively hot. Furthermore, exposure to air that is too cold will almost undoubtedly lead to an irritating cold. It is therefore beyond debate that maintaining air at the right temperature and humidity while keeping it free of particulates, is quite desirable and at times necessary. This is the very essence of air conditioning. There is a wide variety of systems that have been designed provide air conditioning for residential, commercial and industrial facilities. These systems range from stand-alone machines that regulate the humidity and temperature for entire buildings to systems that condition the air in a few selected rooms. Regardless of the size and structural design of the system, they all work using the same operating principles. These two principles are applied in different components of an air conditioning unit in order to bring about continuous regulation of both the temperature and humidity of the air within a room. As mentioned above, it is obvious that the most crucial component of all air conditioning units is the gas used by the unit. This gas is known as the refrigerant. The refrigerants initially used in air conditioning units were initially chlorofluorocarbon compounds better known as CFCs. However due to the detrimental effect that CFCs had on the Ozone layer, the refrigerants used were changed to the less harmful alkanes such as propane and butane. 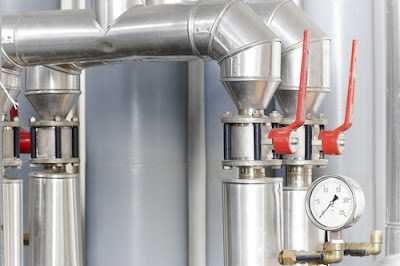 Some manufacturers use ammonia gas in their air conditioning units. It is worth noting that various manufactures do include additional electronic and mechanical components to enhance the functionality of their air conditioning units. This extra components are however not crucial to the functioning of the unit. Filters are installed to remove particulates from the air. 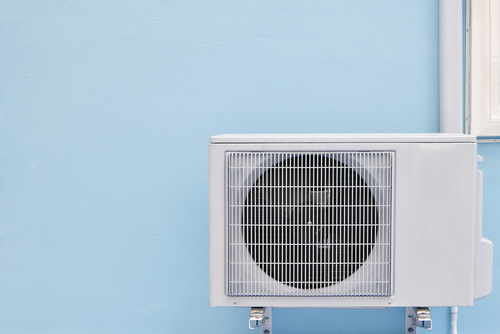 The most important thing that one should note about how an air conditioner works is the flow of the refrigerant through the above components. Since the gas flows in a continuous loop through all four components, the flow can be described starting with any component. From the compressor, the refrigerant would flow to the condenser coil, from which it would head to the expansion valve, then to the evaporator coil. The refrigerant would complete the loop by ending up where it started finally in the compressor. As the name suggests, the compressor is the unit in which the refrigerant is compressed. The compressor makes use of a piston-cylinder setup driven by an electric motor and an air tight cylinder to compress the refrigerant. This increases its temperature and pressure. From the compressor the refrigerant heads to the condenser coil. The hum associated with most air conditioning units is due to the pumping action of the compressor. The compressor coil is a series of half-loops of the brass pipe through which the refrigerant flows. As the hot refrigerant passes through the condenser coils, a powerful fan forces a continuous bust of air to pass over the coils. The rapidly moving air drawn from the outside has the effect of cooling the refrigerant flowing through the condenser coil. This means the refrigerant flowing from the condenser coil still retains its high pressure but losses most of the heat produced in the compressor. This now cool refrigerant flows under high pressure to the expansion valve. The expansion valve is simply a transition point where the diameter of the brass pipe through which the refrigerant flows suddenly increases two-fold. This abrupt change in the diameter of the pipe results in a similarly abrupt expansion of the refrigerant as the volume the gas can occupy suddenly increases. The outcome of this sudden expansion is an extreme plummeting of the refrigerant’s temperature as it transitions from the liquid to gaseous phase. The extremely cold refrigerant gas then flows to the evaporator coils. The evaporator coils are also half-loops of the brass pipe through which the refrigerant flows. The most notable difference of these coils from the condenser coils is their large diameter. 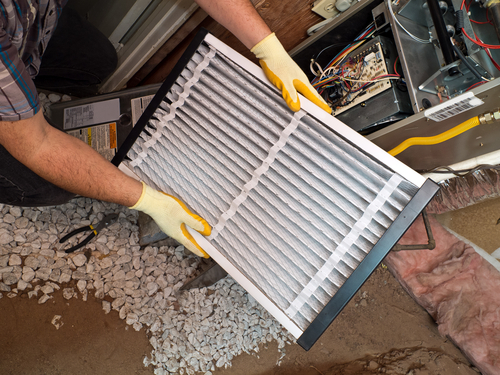 The intensely cold refrigerant flowing through the evaporator coils causes the air being forced over the coils to also cool. The intense cold of the coil has the additional effect of causing any water vapor in the air to condense to water which then instantly freezes over the coils. It is therefore at the evaporator coils that the air from inside a room is deprived of both its heat and moisture. From the evaporator coils, the now warm refrigerant flows to the compressor, where the whole process repeats itself.